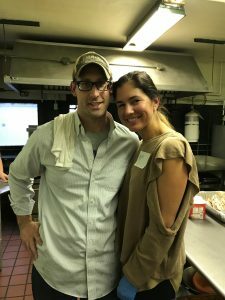 On November 21, 2018, Patrick Vrobel and his wife Erin had the privilege of joining other volunteers in serving splendid Thanksgiving meals at the St. Philip Neri Family Center. This is the fourth year that Patrick and Erin had the fortune of volunteering at the St. Philip Neri Family Center during the Thanksgiving season. This year, the Vrobel Family brought a turkey and 20 pounds of mashed potatoes to Thanksgiving. Patrick and Erin volunteered this year with several friends and alumni from Regina High School, where Erin graduated. The St. Philip Neri Family Center is part of Catholic Charities which delivers more than 150 services at 60 locations to over 400,000 individuals each year throughout the eight counties in the Diocese of Cleveland. For those interested in supporting this charity, please click here.